Insurance policies live much longer than you may think. In fact, many insurance policies retain their value long after the coverage date has ended, and, in some cases, that can lead to property redevelopment or clean up. While it may seem unlikely to you, the old insurance policies you have lost or tucked away in the back of a filing cabinet may just be the ticket you need to redevelop your property. Whether your property has become polluted from your own doing or from that of a neighboring property, depending on the circumstances surrounding the property damage and the policies you have had in place over time, you could redevelop the polluted property based on your insurance claims covering the cost of the investigation and clean-up. What exactly is meant by “polluted properties?” Typically, polluted properties are commercial or retail locations that have had operations over time consisting of chemicals or products (the “pollutants”) that have seeped into the soil and perhaps migrated into the ground water or offsite. They can occur under your own property or even under a neighbor’s property. For example, an adjacent property to yours could have an underground tank that, at some point in time, started to leak. That leak could potentially end up in the groundwater or migrate to your soil, and contaminate your own property. In many cases, the polluted property owner may not be aware of the issue until a later date or until a transaction, such as a land sale, occurs. You might be wondering, “doesn’t my current insurance policy cover this type of thing?” While your assumption may be that your current comprehensive general liability insurance policy (“CGL”) covers pollution claims you may be mislead or mistaken. Over time, CGL policies have become more specific on the incidents and claims that provide coverage. You may be an owner/operator of a gas station (or other commercial property) and wondering, “doesn’t my current pollution liability policy cover this type of thing?” Once again, you may be mistaken.However, there may still be hope for coverage under an old insurance policy. 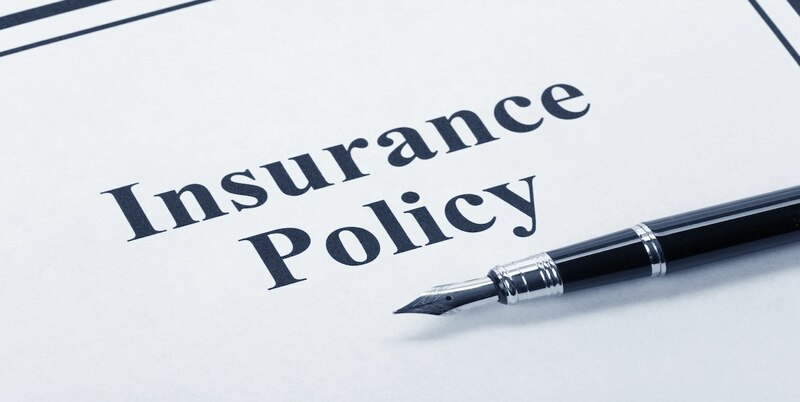 While your current insurance coverage may not keep you protected, you might find that an old insurance policy does in fact cover pollution liability. In 1986 many insurance providers began including an absolute pollution exclusion in their CGL policies, which means that, the policyholder may be liable for their polluted property, as identified in the examples above. However, if the policyholder purchased an insurance policy before 1986, they may in fact still be covered. If you have or had a pre-1986 CGL policy, then you may be covered for the pollution on your property. Returning to the previous example if an individual or company had a CGL policy in effect during the time of contamination, then there is a chance you are covered for the damages. If that underground leak started in 70s or even in the early 80s, then your pre-1986 insurance policy would likely apply to the damages. It is important to note that the groundwater that runs underneath your property is not actually your property. Why is that such an important distinction when discussing insurance? CGL policies cover “third party” property damage, and ground water and offsite contamination is considered a “third party” property damage. As an example, if the pollution originated on your property and then migrates to another property, your insurance policies may cover the neighboring property, since the neighbor is a “third party”. How does knowing all of this help you spur redevelopment on your polluted property? If you have coverage due to pre-1986 insurance policies, you may just have the financial means to pay for the environmental issues, so that the rest of the funding for the actual development is not impacted. If your property has become subject to pollution damage and you want to redevelop it or even simply clean the site, then looking to your old insurance policies is a sound way to begin the process. Filing a claim on an older, but effective policy, could result in the resources needed to keep the redevelopment on track and clean up the property at the same time. We need this type of research from time to time. For us to consider your services we would need to know your business affiliations and ownership. Specifically, are you owned, operated or otherwise affiliated with an environmental consulting company or specific law firm? Rudy, this is a great question and one that we are asked regularly. The answer is that Restorical Research is not owned or operated by any environmental consulting company or law firm. Restorical Research is not affiliated with any environmental consulting company and/or law firm. Restorical Research works closely with the environmental consultant and/or law firms engaged by our clients.